Have you ever wondered why the same players always seem to finish at the top of your fantasy football league? Or maybe why 1% of daily fantasy sports players win 91% of the profits? I'll tell you why. These stand-out players leverage proven strategies to gain a consistent advantage over their opponents (you!). If you want to start using these strategies to your advantage, you're in the right place. Today, I reveal to you the best fantasy football books of 2019. These books provide insight into stat interpretation, draft preparation for seasonal fantasy football leagues, and tips for excelling in daily fantasy sports. To write this article, I reviewed books for different types of fantasy leagues. After careful review, I selected the best seasonal book and the best DFS book. I also included the best NFL preview book, the best fantasy football book for beginners, and an excellent book from Matthew Berry that is a must-read for fantasy fanatics. Here is the list of my favorite fantasy football books, a few of which I review in detail below. You can click on any of the product links to check their current prices on Amazon. When do fantasy football books come out? Fantasy football is a popular game because anyone can play. And not unlike most games, a small percentage of players will possess a drive to discover strategies that give them a consistent advantage over the competition. That small group of obsessed owners is usually the ones hoisting the championship trophies (check out FantasyJocks for some great trophy ideas) at the end of fantasy football season. In addition to books, fantasy football draft preparation tools are also quite helpful when planning a draft strategy. Last year, I used a draft kit from the Fantasy Footballers to prepare for my draft (and made the playoffs)! You can read all about it in my review of the Ultimate Draft Kit. Although some fantasy football books are evergreen (especially those that relate to strategy), others are yearly publications. Seasonal books typically hit the press sometime in June each season. When it comes to considering a fantasy football draft strategy, most owners follow the path of least resistance. They wait until draft-day, grab the latest printable cheat sheets, then work their way down the list as they make put their stickers on the fantasy football draft board. And there's nothing wrong with that! It certainly beats cheating by looking at other owner's rankings. Every fantasy league has those owners who come to the draft unprepared. They show up with nothing and try to use other owners' cheat sheets to make their picks. I came up with a way to discourage this behavior and make those lazy owners pay. I created a way to generate bogus ranking sheets that look realistic. So at your next fantasy draft, generate a few of my fake cheat sheets and lay them around your draft room. Lazy owners will take the bait and commence to embarrass themselves and blow yet another draft. Some owners are a bit more committed, maybe spending a few hours to a day reading articles, scanning sleeper lists, and customizing their cheat sheets. Again, this is a legitimate (and effective) way to cram for a draft, and players sometimes win fantasy championships without doing else. There is a small minority of fantasy owners that take fantasy football a bit more seriously. They not only want to know who the best players are, but they want to apply proven methodologies to gain a substantial advantage over other owners. Many of these owners learn their techniques from proven fantasy pros who have documented their strategies in fantasy football books. But what makes one publication more valuable than another? Actionable fantasy football books go beyond the purely data-driven analysis of fantasy football magazines to evaluate overarching football trends, applicable game theory, and produce proprietary player valuation algorithms. 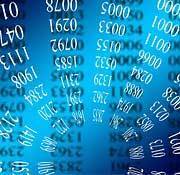 The algorithms documented therein were developed to build fantasy championship teams starting at the draft. Once you add these strategies to your arsenal, you'll be able to apply them in your seasonal leagues and daily fantasy contests. Even if you head to your draft with a solid plan, it never hurts to have someone in your corner who can help you evaluate each potential draft pick. I tested a bunch of tools and documented the results in my review of the best fantasy football software for draft assistance. Any of these would be a great complement to a draft preparation book. If you're looking for the latest player rankings, cheat sheets by scoring system, or mock drafts results, a strategy-focused fantasy football book probably isn't what you're looking after. That's because much of the content in a modern strategical guide [typically] centers around broader and more evergreen topics. That isn't to say that a fantasy magazine focusing on player evaluations isn't useful. It certainly is. But being knowledgeable about player potential is only half the battle. The other half is applying that knowledge scientifically to get the most value from your draft selections. If you're looking to add another element of excitement to your draft process, check out my article detailing fun and unique fantasy football draft order ideas. I have used most of these at my drafts, and they always add an interesting twist. Let's look at some ways a good fantasy football book can help you succeed in 2019. Fantasy football strategies have evolved over the years. But at its core, the object of the game is still the same: pick the players whose collective performances will produce more points than your competition (of course, factoring your specific league's scoring configuration). Even though this sounds simple, translating last year's stats directly into player rankings isn't a winning formulate. Much can change between seasons, so you'll need to use player stats only as a guide if you want to succeed. Fantasy football experts exhort various formulas for calculating player valuations, algorithms for formulating cheat sheet rankings, and strategies for roster management that use science to give you an advantage before, during, and after your draft. These scientific principles never go out of date. And many times, they provide the edge you need to win those few critical games that determine who walks away with the championship. Player values can fluctuate wildly based on team, injuries, and depth chart shuffling. However, each NFL coach's style generally remains constant regardless of the team or players they are coaching. Some coaches are conservative on offense. Other coaches don't mind taking considerable risks to put the ball in the end zone. Just think about what Philly did in 2017! Coaching philosophy plays a significant role in player valuation. Their play-calling tendencies give you a glimpse into how players of a particular position will perform under their direction. 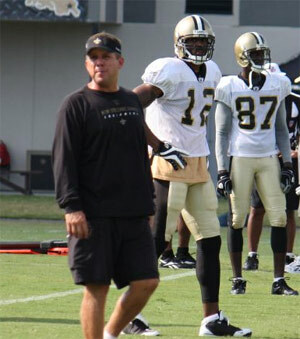 For instance, a wide receiver coached by Sean Payton would have a much higher ceiling than one coached by John Gruden. Some players can't reach their true potential if their coaches don't utilize them correctly (or if they're too conservative). The best fantasy football draft books typically include coaching analysis. Coaching philosophy stays somewhat consistent and thus is a good indicator of potential player production. Team performance has a direct impact on its players' potential fantasy value. It is harder to predict than coaching philosophy, but a reputable fantasy expert can draw some sensible conclusions based on past performance and roster turnover. Knowing how well a team is expected to perform is an important consideration when making your draft selections. As such, most fantasy sports books will include team projections for this purpose. In some cases, experts even align their team projections against the projected win and loss records according to Vegas. Let's jump right in and talk about the top fantasy football books for the upcoming season. Each book has something unique to offer, and each has strong and weak points. Some books emphasize theory while others shine when it comes to analytics. Pay particular attention to the pros and cons of each publication as they can give you a good indication of which book is a better fit for your style. Warren Sharp is a civil engineer by trade who is renowned for developing computer models to understand the factors that contribute to NFL success. He applies these frameworks to create his yearly football preview that is a staple in the industry. If you're looking for a deep-dive into the expectations for upcoming fantasy season, this is the book for you. There are probably better fantasy football strategy books out there, but this preview is an excellent primer for the season as a whole. Warren's football research has been published worldwide including the Wall Street Journal, Yahoo!, and the Huffington Post. He is a regular guest on sports radio shows, and ESPN has praised his insights. This book is the antithesis of what you usually see in other publications, and that is by design. Warren preaches that the most successful owners are those that do the opposite of what the majority of fantasy football books teach. Warren first considers football fundamentals, then evaluates each NFL team (including their coaching philosophy), and ultimately assesses the players. He uses detailed visualizations to illustrate his systems and straightforward data analytics to support his strategies. Reviews for his Football Preview are off the charts, with the most damning criticism being a few spelling or grammatical errors. If you'd like to get your fantasy football prep straight from an engineer's mind (not some arrogant frat boy in a tie), then this is the fantasy football book for you. For 10+ years, Joe Pisapia has been the #1 Best-Selling fantasy sports author on Amazon. That's not easy! Joe's credentials go beyond merely being a top author. His radio show was also named the FSTA Fantasy Radio Show of the Year. As such, Joe has a proven track record when it comes to being a legit fantasy football expert. Joe's success as a fantasy football prognosticator is partially due to his formula for evaluating players known as RPV (Relative Position Value). He is a big proponent of value-based drafting, and the Fantasy Football Black Book goes into detail on why you should adopt this draft strategy in your fantasy football leagues. If you're looking for a fantasy football draft book to help with preparation, this is a must-buy. In this year's book, Joe brings in fantasy experts from across the web to provide their insights. This list includes Jake Ciely of RotoExperts, Gary Davenport of IDP Sharks, Sammy Reid of Fantasy Footballers, and FSTA award winner Matt Franciscovish. This book has been on the market for longer than many of us have been playing fantasy sports. Consider grabbing a copy of the Fantasy Football Black Book if you want to learn about popular strategies utilized by the top players. This smart and insightful book by Jonathan Bales focuses on fantasy football as it relates to playing DFS. It stands out among other daily fantasy football books because of Jonathan's proven track record. There are more than a dozen Jonathan Bales books on fantasy football and he the founder of both Fantasy Labs and RotoAcademy. Fantasy Labs counts Mark Cuban among their investors, so Jonathan might know what he's talking about when it comes to DFS. Fantasy Football for Smart People aims to increase your daily fantasy football IQ by providing insight into the psychological and data-centric factors that affect contests. After reading this book, you'll possess the tools and mindset necessary to start competing with the sharks on daily fantasy sites. I particularly like Jonathan's list of 68 heuristics that sum-up the book's contents. These include the most actionable strategies for daily fantasy football, data points to help you dominate your league, and a supplemental reading list. This edition is undoubtedly one of the best daily fantasy sports books on the market.